UPDATE (8:23 p.m. EST): Lady Gaga has also won the first televised award of the night, taking home Best Pop Duo/Group Performance for "Shallow." Whew! ORIGINAL: Before the Grammys telecast has even begun, Lady Gaga is already a double winner. You could say that even in the shallow end of tonight’s ceremony, a star has been born. Noice. The Artist Formerly Known as Mother Monster was a two-time winner early in the night, taking home best pop solo performance for "Joanne" (off of Joanne, and don’t get me started on how cursed it is she’s still winning awards for Joanne) and best song written for visual media for "Shallow" from A Star Is Born. But these aren’t even Gaga’s first awards of the day! 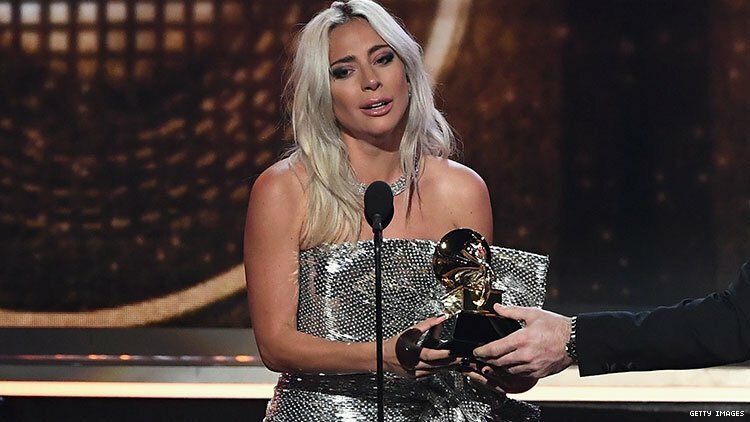 While she was likely having her face beat for the Grammys, “Shallow” won at the 2019 British Academy Film Awards for best original music. "I can’t believe we just won Best Original Music @BAFTA's," she wrote. "I wish so much I was there but am at the Grammy’s to show them our love as well." And we still have the Oscars to get through — cherry cherry boom boom.